As we seek more natural alternatives to harsh synthetic products, we are learning a new and healthy respect for the traditional wisdom our ancestors took for granted. 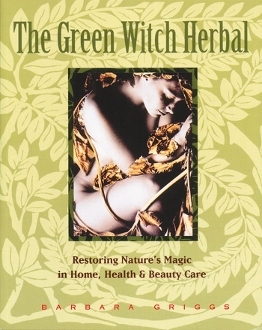 Women are rediscovering their foremothers' "green witchcraft"--the use of flowers, leaves, berries, roots, and barks in home and garden, for hygiene and beauty, for pleasure and for health. Now, that lore may be found in this modern source book of the domestic use of herbs. Full of practical advice and fascinating historical insights, this delightful book shows you how to tap into the astonishing power of plants and herbs. Includes recipes for a variety of remedies and personal care products, and devotes a chapter to the creative use of herbs in the kitchen for cooking and as natural cleansers and disinfectants. Griggs' best-selling and widely-praised Green Pharmacy is considered the standard work on the history of herbal medicine.